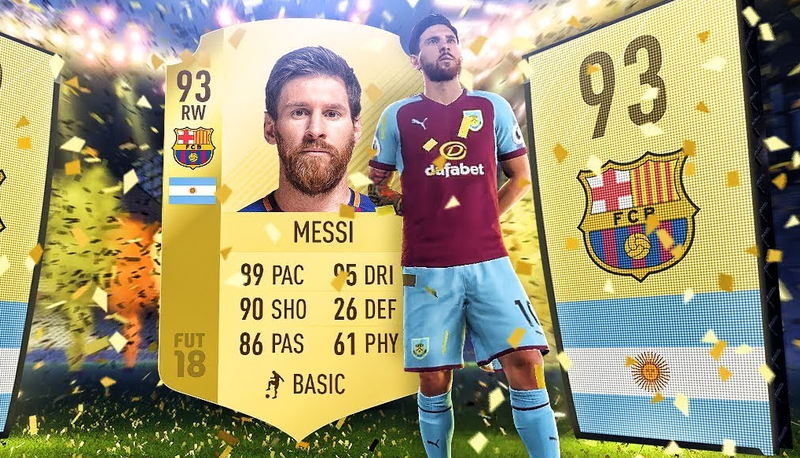 In games like FIFA 18 people can spend money to open packs of cards containing players for their online team. Loot boxes in FIFA 18, Overwatch, and Counter-Strike: Global Offensive are now illegal in Belgium, with the country’s legislators declaring today that if the games’ publishers don’t remove the offending microtransactions, people behind the games could face fines and even time behind bars. As reported by Eurogamer, Belgium minister of justice Koen Greens said in a statement that the loot boxes in these games were in violation of the country’s gaming legislation and thus the companies selling them are subject to criminal punishment, including fines of up to 800,000 euros ($974,605) and prison sentences. This determination was made after Belgium’s Gaming Commission spent several months reviewing how loot boxes operated in these games and others following the controversy surrounding Star Wars: Battlefront 2’s microtransactions. Since then, many stories have come to light about how much money some people have spent on loot boxes and other in-game purchases, and the practice as a whole has come under lots of scrutiny. The criteria the commission used to decide whether loot boxes constituted gambling were whether there was a game element involved, whether a bet could lead to profit or loss, and whether it was based on chance rather than skill. As a result, the commission decided FIFA 18, Overwatch, and CS:GO involved games of chance and should be subject to Belgian gaming law. Star Wars: Battlefront 2 ended up not being part of the decision, since at the time of the survey, EA had temporarily removed microtransactions from the game. The company recently re-added microtransactions, but you can no longer spend real money on loot boxes in the game—you can only buy cosmetic items directly. Neither Overwatch publisher Blizzard nor CS:GO publisher Valve immediately responded to requests for comment. Overwatch loot boxes randomly award rare character skins and other cosmetics. Belgium’s announcement comes just over a week after the Netherlands Gaming Authority found four out of the 10 loot boxes it was investigating violated Dutch law and needed to be revised by June 20. As reported by Eurogamer, the games in question were FIFA 18, Dota 2, PlayerUnknown’s Battlegrounds and Rocket League, with the Netherlands Gaming Authority most concerned about the addictive element of loot boxes in these games, specifically with regard to how they affect minors. It’s not surprising that European countries have been the first to move so forcefully against microtransactions in games perceived to be gambling. In 2015, the UK’s Consumer Rights Act forced companies like Sony, Microsoft, and Valve to offer refunds for games found to be faulty in some way. More recently, Norway’s Consumer Council pressed Nintendo to allow people to get refunds for pre-ordered games that had not yet been released. Legislators in the U.S. have been slower to act on the issue of microtransactions. Hawaii House of Representatives member Chris Lee called loot boxes gambling last November and the state is currently considering two different bills that would regulate them. At the federal level, New Hampshire Democratic Senator Maggie Hassan asked the Entertainment Software Rating Board (ESRB) to re-examine the issue of loot boxes last February but did not press for any more concrete action. The ESRB responded by adding an “In-Game Purchases” label to boxed games that allow you to spend money on in-game content. Some companies have taken it upon themselves to at least be more transparent about the odds associated with their microtransactions. Last December, Apple revised the guidelines for its App Store to require companies to reveal the odds of any loot boxes in their games. More recently in February, Riot, makers of the incredibly popular PC game League of Legends, revealed the probabilities of getting certain items from its loot boxes. The Belgium Minister of Justice didn’t announce any specific timeline for when the games found to be in violation of its gambling laws would need to have their loot boxes revised or removed. Instead, Geens’ statement calls for further dialogue between the different parties involved.